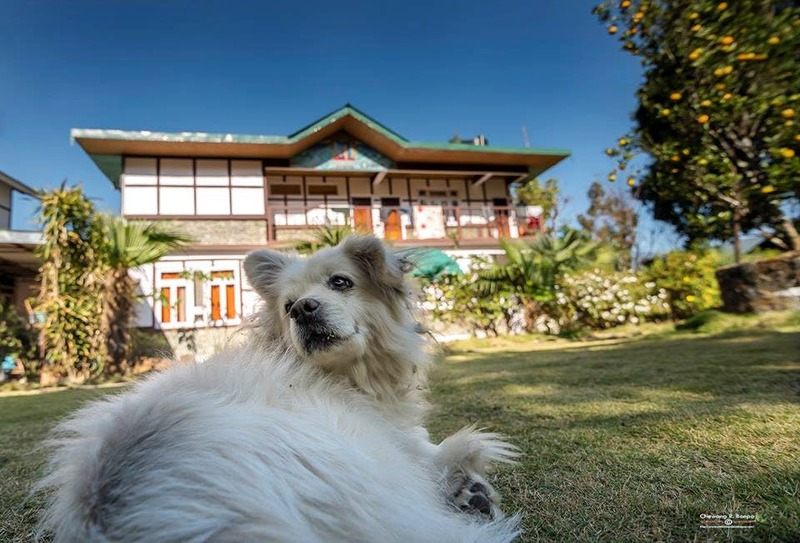 If you love true peace, nature immersion and mountain views, head to Bon Farmhouse in Sikkim for your next vacay. Looking for a peaceful stay in the Sikkim mountains, in the middle of forests and with organic food? Book a stay at Bon Farmhouse in Kewzing village. The owner Chewang Rinchen Bonpo is quite a well-known ornithologist from this area and organises birding tours. So get your binocs with you! Kewzing is about 75 km from Gangtok, and close to the more well-known Ravangla with its monasteries. Kewzing too had a monastery. The village has to be navigated on foot with picturesque green and red-tiled houses scattered around and the Kanchenjunga range in the background. You can also see Mt Karbu and Mt Narsing on clear days. You won't just breathe fresh air, you will also eat chemical-free food with all meals prepared from freshly grown organic vegetables, and fresh milk and free range eggs. The place has a cosy ambience with handpainted doors, wooden interiors, and a grey-stone building. The eight rooms here are done up in traditional Sikkimese style and have attached bathrooms and modern amenities. You can choose the log house suite built with local pine wood or the villa rooms which have personal balconies with stunning views of the mountains. Coming with a family or the squad? Book the family cottage which has two rooms and porches looking out over the magnificent Kanchenjunga. And don't forget to ask for a dotho which is the traditional Sikkimese hot-stone herbal bath. There's lots to do here - the village is only about 10 kilometres from Maenam Wildlife Sanctuary which extends all the way to the Rangit River. The Farmhouse provides guided tours for trekking, hiking, birdwatching and sightseeing.